Living the D-Life means living a lifestyle of disciple-making. Think about it. What if you could successfully equip and empower everyone in your ministry for a lifestyle of disciple-making? What if everyone embraced disciple-making as a way of life instead of a program of the church? What if believers all over the world started living out their supreme purpose in life and started making disciples just like Jesus? This would be a game changer! This is the purpose of D-Life. D-Life is a simple, biblical, and reproducible process for equipping every believer for a lifestyle of disciple-making. is NOT a program; it's a lifestyle. is our supreme purpose in life. is modeled after the life of Christ. is a simple process for multiplying disciples. is for all ages and genders. Sign Up your church or ministry for D-Life. Schedule D-Life Boot Camp Training for your people. When you sign up for D-Life, everyone in your ministry will have access to your D-Life Web App. Digital content on your D-Life Web App includes: 4 years of annual Bible reading plans, 4 years of weekly study guides for your D-Groups, and excellent leadership resources for equipping your leaders. The weekly study guides come in both printable and electronic formats. The first year of D-Life is also available in Spanish​. For those who prefer a physical copy of D-Life, D-Life Journals contain a full year of D-Life content. Write all your responses and keep up with everything that happens in your D-Groups in one concise journal. 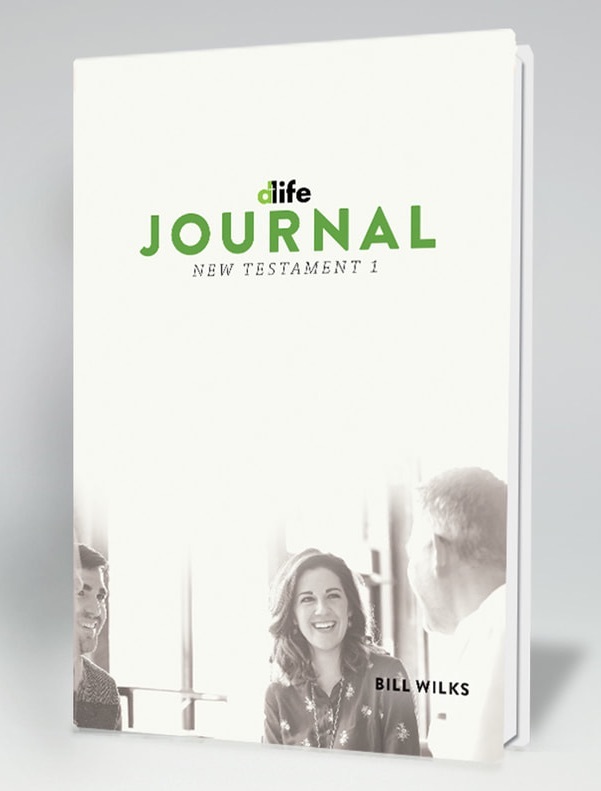 D-Life Journals are available for New Testament 1 and Old Testament 1. With the D-Life Web App or D-Life Journal, you place at everyone's fingertips the power to live a lifestyle of disciple-making.​ The possibilities are endless. Men's and women's ministries can live the D-Life. D-Life is great for youth and college ministries. High school seniors can be trained to live the D-Life when they go to college. D-Life is great for prison ministries and sports ministries. Even families can live the D-Life together in family discipleship. D-Life is also an excellent tool for missionaries and church planters. Everyone can live the D-Life. The purpose of D-Life is to equip believers with a biblical disciple-making process and to empower them with a simple disciple-making tool for a lifestyle of making and multiplying disciples--anytime and anywhere. The ultimate goal of D-Life is to see a global grassroots disciple-making movement. We hope you will join the movement!